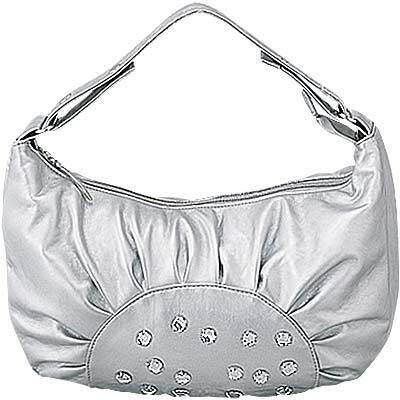 Silver is the metallic shade resembling gray, closest to that of polished silver. The first recorded use of silver as a colour name in English was in 1481. 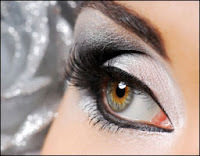 The colour silver represents many things including intuition and illusion. The colour silver can be sleek and modern or impart a feeling of ornate riches. 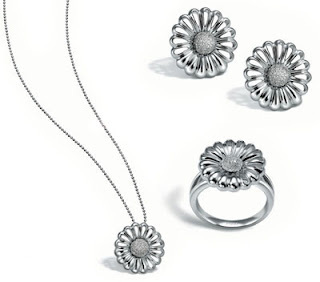 Stunning silver colour jewelries are ideal for any occasion and are the perfect choice to make a unique style statement. A silver coloured outfit may stand out amidst many and you can become a fashion icon by wearing it. Silver accessories are often used by celebrities on Red Carpet events. Beautiful designer shoes and bags are very common with the rich and the famous of the world. Ramps are often seen to be dominated by this colour. 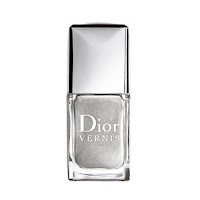 Silver makeup works for both day and evening; it just depends on the application.Since silver is so neutral, it works with all eye colors and matches whatever outfit you might be wearing, whether it’s jeans or a cocktail dress.Silver nails also look stunning. Silver decor inside the rooms can lighten and brighten the whole atmosphere of the place. Adorei seu blog, estarei aqui te visitando com frequência!! Amei também sua mensagem carinhosa!! O jogo de cama está lindooooooooo! Adorei seu Blog, contém posts muito interessantes, parabéns! Quero agradecer a visita em meu Blog, obrigada pelo carinho. Beijos tudo de bom, Fica com Deus. I like silver as long as its minimal like in jewellery if it gets too much like in a whole outfit I find it a little bit tacky and too machine-like, taking away from a woman's femininity. Hi thanks for the visit. I'm glad you liked my blog, I loved her very beautiful. And now I'm following here. Olá flor,também gostei muito do seu blog,por isso estou aqui pra retribuir! I loved your blog. I am your new follower. Hi beautiful, I came to return the visit! I love silver, I think it gives a visual wealth! so much people writing in portuguese '-' you understand? the flower loved your blog, very interesting content it easy Facina me (:! loving the silver! it's so modern and always classy. i like your blog too and i'm a new follower!!! Obrigada or seguir o meu blog, também já estou te seguindo. I love silver interiors! silver and white go so good together!! What a lovely post! Silver is my for jewellery! Never go for gold personally! i love all these silver things!! !thank u so much for your fab comment!!! i loved it! !thank u with heart!! !